Xbox One owners have been able to stream their games to PCs running Windows 10 since 2015, but Mac compatibility has been notably, and expectedly, lacking. A new app, OneCast, promises to deliver the same game streaming experience to macOS for a mere $10. OneCast claims to be the world's first Xbox One game streaming client for macOS, offering Mac owners a taste of what Windows 10 users have had access to for some three years. Previously, no company offered a solution for native streaming to Mac, meaning users had to rely on clunky workarounds like installing Windows 10 via Boot Camp or Parallels. These stopgaps were often buggy and failed to perform well enough to handle fast-paced games. OneCast promises 1080p video throughput, "extremely low lag" and support for either full-screen or windowed viewing modes. An Xbox wireless controller can be connected to the Mac via USB or Bluetooth after a firmware install, and the app supports multiple Xbox user profiles, making it simple to use different Xbox One consoles or gamertags. In addition to streaming from an Xbox One to a Mac sharing the same wireless network, OneCast supports remote connectivity features that let users play games from anywhere with an internet connection. The company notes play anywhere functionality requires manual configuration of a network router, specifically port forwarding settings. 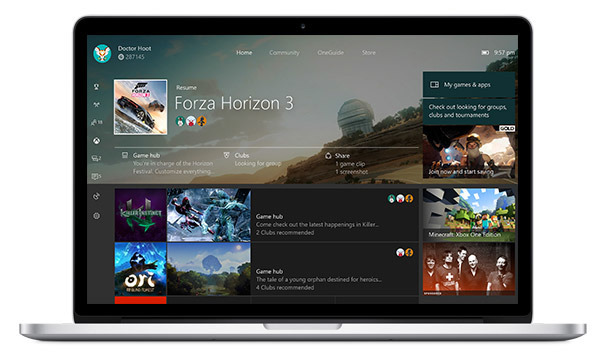 Why it took so long for a third-party firm to arrive at a Mac streaming solution remains unknown, but OneCast in a statement to The Verge said it conducted a "clean room reverse engineering" of the Xbox One game streaming system to create its eponymous app. The software utilizes the same protocol used by Microsoft's official Windows client, meaning Mac owners can expect performance on par with a Windows 10 system. OneCast is currently available as a two-week free trial, while the app is priced at $9.99 for a limited time. On April 1, regular pricing of $20 will go into effect.